Children (Age 9 and up), Adolescents, Pre­teen/Teens, Adults, Individuals, Couples, Family, Groups. I received my Masters of Arts in Community Counseling from Montclair State University and my Post Masters from Caldwell University. Prior to that, I received my Bachelors of Arts in Psychology with a concentration in Women’s Studies from Kean University. I have been working in the field since 2010 working with a wide variety of clients, cases and therapeutic approaches. 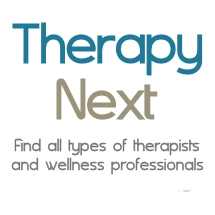 I have experience both in private practice as a therapist as well as mental health services as a counselor. My goal is and has always been to encourage overall growth for all those that I work with. I am dedicated to positive outcomes within a therapeutic process. My therapeutic approaches include Eclectic Approach, Solution Focused, Client Centered, Cognitive Behavioral, Mindfulness, and Relaxation. In my free time, I enjoy spending time with family and friends as well as being active in my community. I also enjoy traveling and experiencing new things.